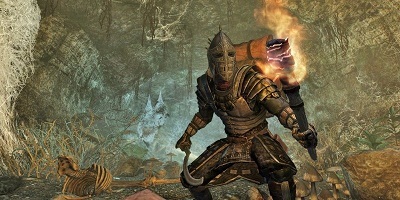 Enderal, the new mode for The Elder Scrolls V: Skyrim offers you a lot of new ideas, worlds and of course its own complete story. In addition, the character and talent system is restructured. What awaits you in the world of Enderal, we show you below. By killing monsters and enemies, and by completing quests you get experience points, thus you can go up your level. Once you have reached a new level, you can decide whether want to improve your life energy, your stamina in a menu. In addition, you will receive for each level a memory point for learning new skills. The talent system offers you three basic classes: Warrior, Mage and Rogue. Each of the three classes has another three subclasses or disciplines. These are specifically adapted to your main class and give you different abilities. With the so-called memory points you can then activate the individual skills. - 5 Learning points: This improves your life points, stamina or mana. - 3 Crafting Points: Enhance your crafting skills. - 1 Memory point: Used for the expansion and activation of abilities. With the craft points your respective skill in crafts increased. In addition, there are affinities which determine your future special class. Combine two affine classes (two sub-classes of the same class) you unlock a specific character class, which brings you special bonuses and abilities. You can customize your character by strong. The creativity of the player is asked and you can have as many combinations of sub-classes and abilities occur that even the developers themselves can still be amazed by the community. You can construct talents, and enter the "spirit" of your character. In this, the skills are mapped using runes and you can start customizing. This class provides you with classic elements such as bow and dagger skills and you can take your enemies either by stealth or with a variety of artifacts. Whether with a hidden sword, poison or aimed shots, the Rogue is playing very versatile. The three classes are: Vagabond, Trickery and Espionage. As a mage you have different paths available. Either you manipulate enemies and the surrounding area, or let powerful elemental, light or shadow magic hail on your opponents. The capabilities of the magician can increase your mana regeneration capacity or the magical essence. You can try yourself in these three sub-classes: Sinistra, Elementarism and Thaumaturgy. You can wear as a warrior both heavy and light armor. The armament focuses on both single and two-handed weapons. In addition, you can also learn parry or block capabilities. In addition, each warrior class fight attitudes that bring you certain bonuses. In general, the ability to strengthen your body, making your life points increased. Sub-classes: dervish, bastion and rage.